CHINA--PROVINCIAL BANKS. Anhwei Yu Huan Bank. 1000 Cash, ND. P-S823. PMG Very Fine 25. 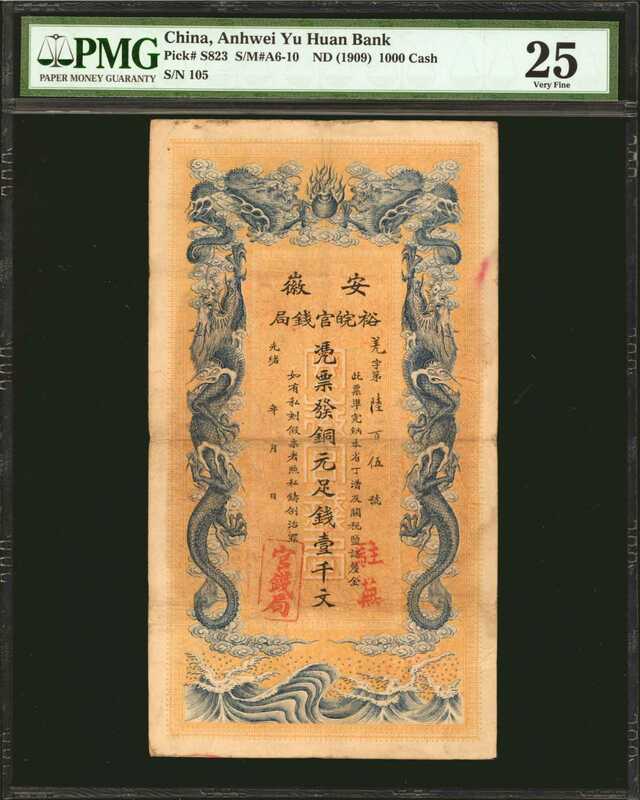 (S/M #A6-10) A scarce design in any grade and this Very Fine note shows without netting defects in a highly sought after PMG VF 25 holder.PMG Very Fine 25.